Customer service is the very powerful business tool – it can kick your company up to the sky or severely damage your entire business activity. The sad truth is that the majority of the companies do not pay enough attention to common consumer service mistakes and do not consider the ways of dealing with such. Unfortunately, if you fail to provide excellent customer service and make too many client service mistakes, your clients may leave you forever. There are plenty of competitors in almost any niche. Besides, it can damage your reputation as many people write online reviews to share their customer experience. Providing excellent consumer service and avoiding client service mistakes is not that difficult, after all. Below you will find the list of common mistakes to avoid when dealing with customers. Dubai is the very dynamic place in the world when time plays the crucial role in everything. Customers want services to be provided quickly. They want to be served as fast as possible. That is why using an automated telephone system may be a bad idea. Waiting till a client is connected to an actual person can be very irritating and even frustrating. Sometimes people simply hang up – you have to be aware of this common customer service mistake. Besides, nowadays too many corporations use automated phone systems, and this will help you to outstand. Make sure that a buyer is connected to one of your client service representatives as soon as possible. This will show how much you appreciate your customers’ time. Every new employee needs instructions on how to act to meet your UAE company’s standards and avoid customer service mistakes. The way the representatives talk to your customers directly influences the reputation of your business. Showing a little empathy, being respectful, cheerful and truly helpful can turn your clients into the loyal ones. The absence of this, on the other hand, is the severe consumer service mistake and can harm your business. To be in line with the standards of your company each new employee has to be instructed by the manager. There are certain procedures that seem to be easy to follow. However, new employees have to know how to deal with the situations that go beyond ordinary procedures and be able to show their initiative and creativity. This is probably one of the significant and widespread client service mistakes. Soft skills are crucial for a person working in client service department. Knowledge and professionalism are important, but the ability to communicate, solve problems and interact with people is much more important for a service representative. In fact, being able to deal with customers is as important as having adequate experience in a certain area. Even if you are not directly responsible for something that has gone wrong within your company, passing the bucket is another serious and common client service mistake. Someone has to take responsibility, and when it comes to the interaction with the customer, this might just as well be you. It might be enticing to avoid it, but it is a wrong thing to do. Be ready to say sorry for any difficulties or inconveniences your company caused. After all, when your interaction with the customer comes to an end, they have to be happy and satisfied. 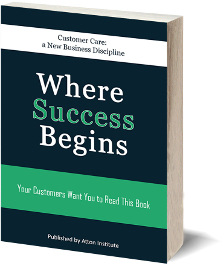 The most common consumer service mistakes include wasting the time of your clients, absence of sympathy of company employees, wrong people working in client service department and inability to take responsibility for something that went wrong. It is highly important to be aware of possible customer service mistakes. However, it is also important to celebrate your success. If your employees have done something extraordinarily well, praise and reward them. See more under the courses on customer service provided by Atton Institute Dubai.